Just a quick note today. 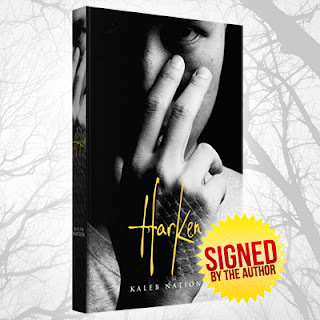 You'll remember me going on about Kaleb's Nation's newest book, Harken, earlier this year. While it was first released as an ebook only, it is finally coming out in paperback. Those of us who still adore physical books are pleased. Plus, the first 2,000 preorders will get a signed copy. Click here to order yours.